Different anatomical structures that form the wall of the spinal canal are involved in the development of a spinal stenosis. Degenerative changes of the vertebral joints, ligaments and intervertebral disks lead to a narrowing of the spinal canal and often enough also of the osseous openings through which the nerves exit (the foramina). An acute narrowing may occur also with a disk protrusion or prolapse. 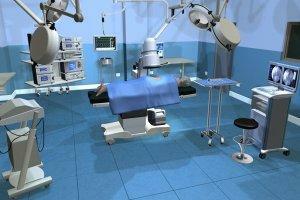 in 90% of all herniated disks no surgery is needed? If however after 4-6 weeks there is no relieve of back or leg pain or additional neurological signs (muscle weakness, bladder or bowel dysfunction) appear, more detailed diagnostics are necessary to find appropriate treatment. Weakness or numbness in the leg or foot, however are warning signals for a more serious condition. 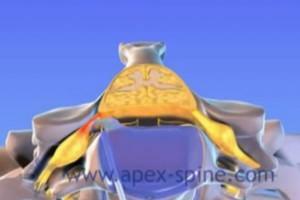 In comparison to most clinics (more than 95% of spine surgery departments in Europe) at the APES SPINE center the diagnosis of a herniated disk does not mean a big open back surgery with long in-patient rehabilitation. Sliding of vertebra can be inherent (isthmic spondylolisthesis) or acquired. 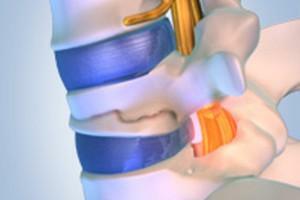 Degenerative changes of the intervertebral space or the vertebral facet joints for example can cause spondylolisthesis. Sport activities which involve a lot of back bending of the lumbar spine very often lead to damages of the vertebral arches. 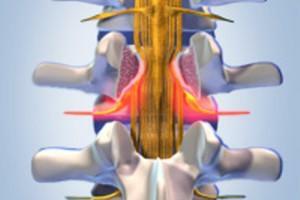 This can also contribute to the development of a spondylolisthesis. Other possible causes are traumatic injuries, some bone diseases or – in rare cases – undesired after-effects of certain spine surgeries. Pain in your shoulder with numbness in the region of the deltoid muscle and/or a feeling of weakness or paresis when lifting your arm sideways. When a disk herniates, parts of the jelly nucleus protrude into the spinal canal through fissures of the fibrous ring. It may then happen that the prolapsed tissue compresses the spinal cord or the efferent spinal nerves. 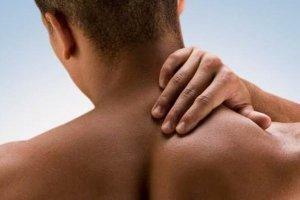 In such cases the acute back pain comes along with neurological symptoms in the dermatome of the affected nerve root. 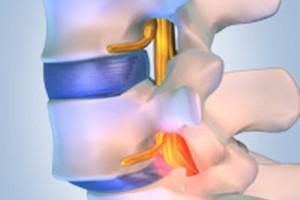 Vertebral compression fractures are a common complication of osteoporosis. They are generally accompanied by severe pain which is seldom controlled by conservative therapeutic options. Since 2000 a new, innovative surgical technique is available for the treatment of vertebral compression fractures: the balloon kyphoplasty. 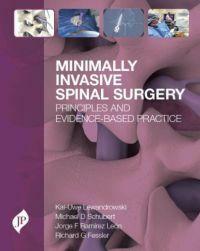 With this minimally invasive approach the compressed vertebral body can be directly re-erected and stabilized with viscous bone cement. I needed to tell just one sentence and diagnosis was established and then also confirmed by imaging techniques. Neither the orthopedic specialist nor the radiologist I had visited before, had identified the herniated disc. They told me to do some sports and that surgery would not help. Immediately after the surgery in the ATOS clinic, my symptoms disappeared and I was also pain free. 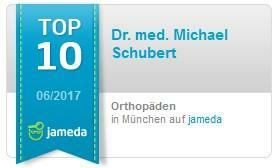 Absolute number 1 address for spinal disc problems.